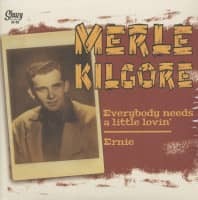 Merle Kilgore recorded for the legendary Imperial label between 1954 and 1959. He started as a country singer, cutting the original version of Webb Pierce's hit More And More and a couple of other classic hillbilly tunes like Feeling Single Seeing Double and It Can't Rain All The Time. Then he switched to rock 'n' roll, recording in New Orleans with Fats Domino's producer, Dave Bartholomew. The songs he recorded there included Hang Doll and Teenager's Holiday. Then he recorded in Louisiana, using such luminaries as James Burton and Jim Landry on guitar. And then between 1961 and 1962, Merle was on Mercury Records, cutting country-pop. 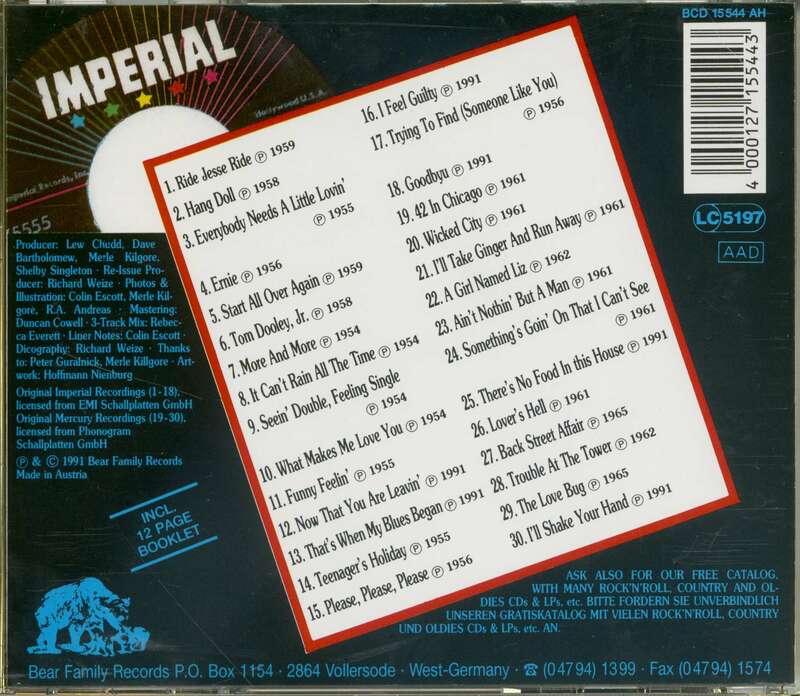 In addition to all 18 Imperial recordings, we've included 14 of Merle's early Mercury cuts, like 42 In Chicago, The Love Bug, There's No Food In This House, Wicked City, Lovers Hell and Trouble At The Tower. Merle Kilgore could be forgiven for thinking that he's seen it all. As a h Louisana, with something to prove - and arrive back six years later with noth-ing left to prove, but with ambition supplanted by an emptiness that alcohol eat ( efe: teenager he saw an almost unknown Hank Williams arrive in Shreveport, had filled. Merle saw Elvis Presley mount the same stage two years later with the same searing need to be heard. Later, with Johnny Horton, Merle ex- hor plored the outer limits of spiritualism, only to see his belief turn to apostasy. Me He sat on the tour bus while fans told Hank Williams Jr. that he would never be but a shadow of his daddy - and, working eventually as Jr's manager, saw the son define his own boundaries to become arguably the hottest property in A f country music. Merle has written, or co-written, over three hundred songs that others have recorded, starting with More And More, and embracing the timeless im-agery of Ring of Fire, and the solid novelty appeal of Wolverton Mountain. He started his recording career as a hillbilly singer, switching to rockabilly and even recording a session with Fats Domino's band, before flirting with ersatz folk, and eventually returning to country music. 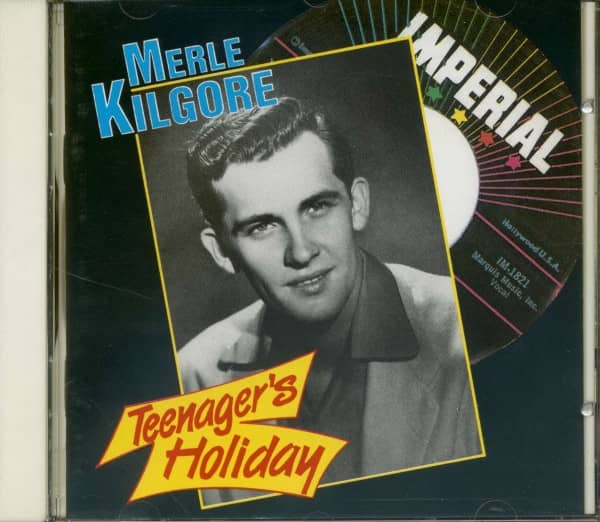 Born in Chickasha, Oklahoma on August 9, 1934, Kilgore grew up in Shreveport, Louisiana, and started attending Byrd High School in 1948 - the year that the Louisiana Hayride started on KWKH. He hung around the sta-tion and the grill across the street where the performers whiled away the hours. Merle's heroes were the Bailes Brothers who played daily on KWKH as well as on the Hayride; he carried their guitars up to the studio every morn-ing: "The elevator didn't work 'I'll 7 :00am," recalls Merle, "and some of the shows started at 5 :00am. I' d carry up instruments all morning long." It was in the grill that Merle met Hank Williams, just arrived from Montgomery with a rumour that he could steal any show: "We'd heard that if he could be sober a year, they'd put him on the Opry. The Bailes Brothers had helped to get him on the Hayride, and on the first night he asked me how they'd done. I said, 'Real good. l' d hate to have to follow them.' He said, 'I'll eat 'em alive' - and he did!" By the time Williams returned in 1952 with his life in tatters, Kilgore was attending Louisiana Tech in Ruston: "I' d come home for Thanksgiving and I walked into the grill and a voice said, 'Hey, Merle, ain't you gonna speak'. It was Hank. He had an old black rumpled suit, hat pulled down and he hadn't shaved in four orfive days." A few months later, he was dead. Customer evaluation for "Teenager's Holiday"